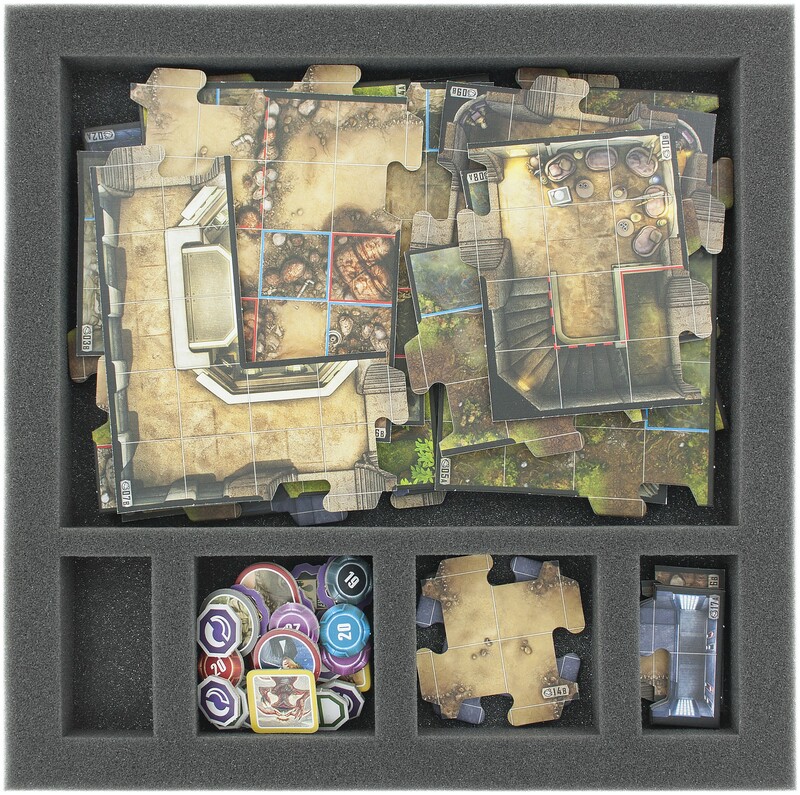 Foam tray with 5 compartments especially for Imperial Assault the board game. 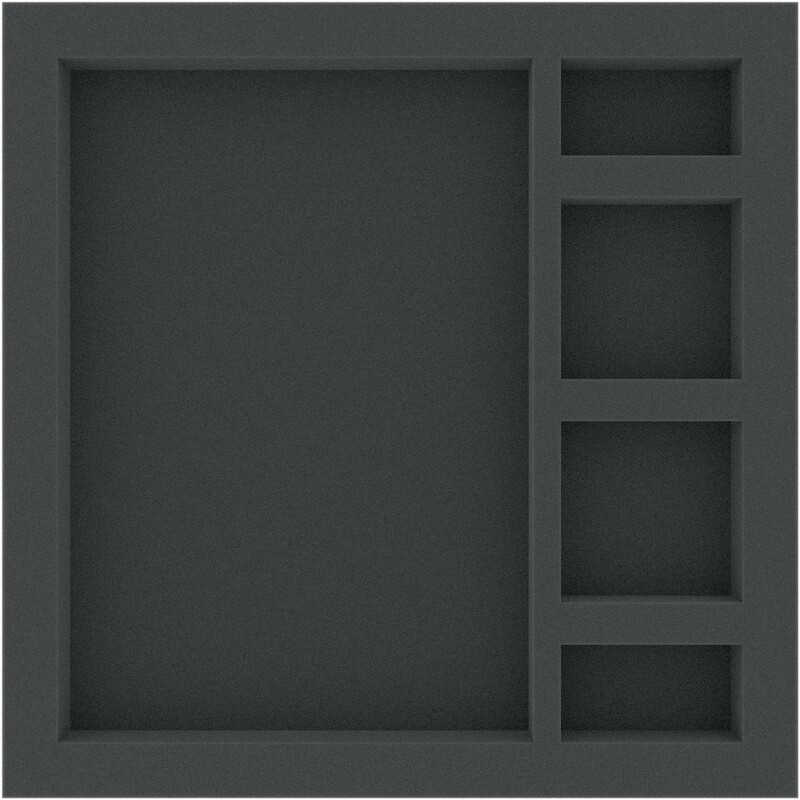 The 5 different compartments are perfect for Imperial Assault board game tiles and tokens. The foam tray fit perfectly into the original board game box, or into the Feldherr box LBBG. 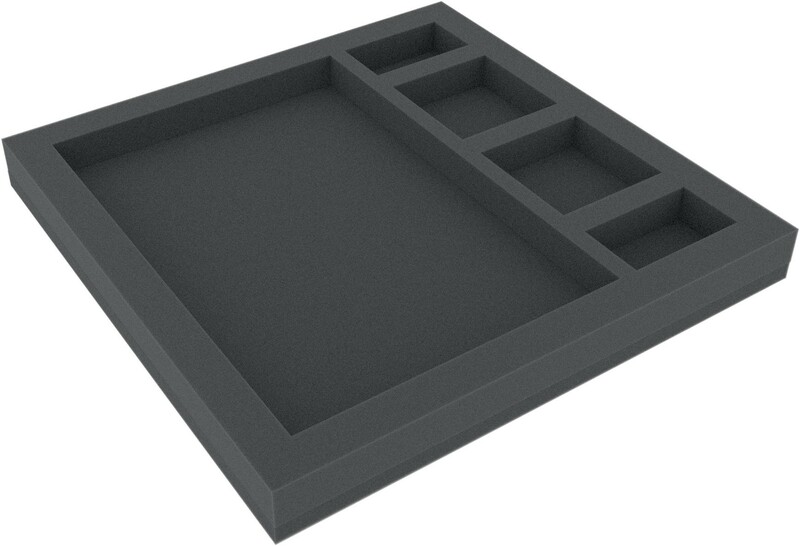 The Feldherr foam tray has the dimensions: 285 mm x 285 mm x 30 mm height. 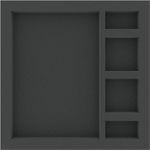 The 30 mm depth of the foam is result from 10 mm foam base and slot foam tray with 20 mm effective depth.